built a reputation for providing top-level service. Effective November 1, 2018, Davies Lock and Door has closed and Rob Davies has joined the team at Trillium Service. We are thrilled to welcome Rob and his customers to the Trillium family. 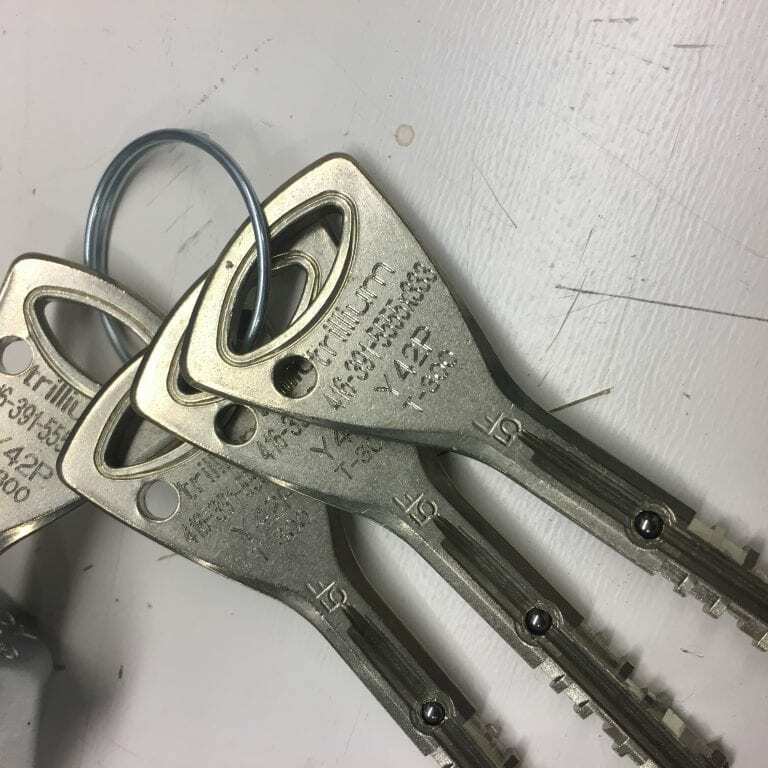 This partnership adds even more expertise to Trillium Service’s team of professional locksmiths, technicians and installers, further securing our place as the #1 commercial locksmith in the GTA. Business as usual! Rob is joining the Trillium Service team and will continue serving you as he has in the past. He will bring all his current master key systems and service history to Trillium, including Medeco and Schlage Primus/Primus XP systems. Working with Trillium Service means more than exceptional locksmith service. We also supply, install and service automatic door operators from manufacturers like Besam, Dorma, Omega and Entrematic. On top of this, we work at the leading edge of electronic hardware and access control to ensure your properties are safe and secure. Welcome to the Trillium Family. Please learn more on this site and reach out to us with any questions you have.